Everyone you know uses it, you use it and no doubt your customers use it… but how do you get your website listed on it, what? Google of course! The centre of the internet for a few and the starting point for web search for many. So the importance of getting your business or website listed on Google is vital. With our technical know how, we can talk and show you how to get the most out of your website and help get your it noticed, ranked, placed and classed with Google. For national, international and local search, our experience is all yours. When creating sites for clients such as you, we want you to learn and understand what Google can do for you. Contact us for details. Don’t forget to Sign up for Google Adwords too! 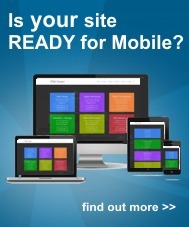 Considering a Mobile Friendly Website? What is a QR Code and Why your Business should use them. Google does not like Duplicate Websites, is yours?